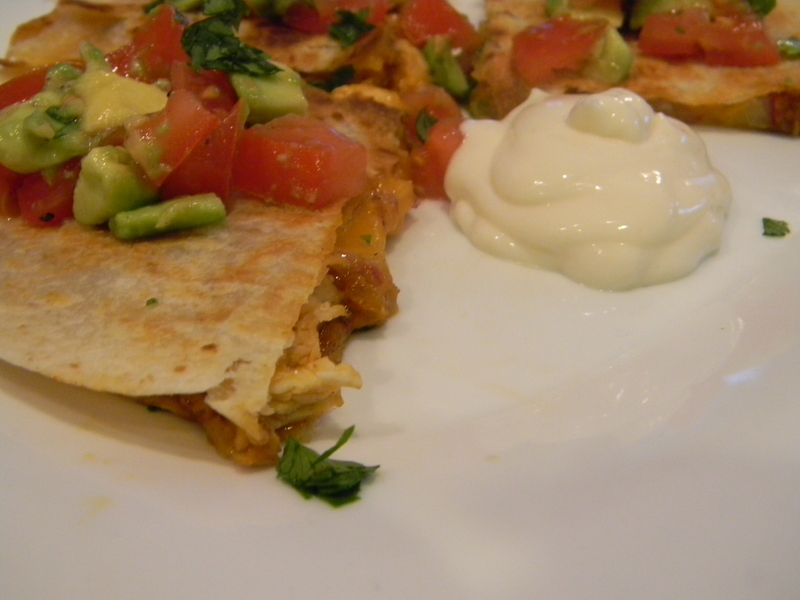 These quesadillas are great if you have leftover chicken to use. I decided to make them because I had a couple of extra chicken breasts, bbq mop sauce, and chipotles left over from the ribs I made the other day. I made these with cheddar cheese but think they would be even better with gouda or a smoky cheese. For a vegetarian option, omit the chicken and use corn. Serve with some black beans and a simple salad of field greens, tomatoes, carrots and radishes tossed with lime juice and olive oil. 1.) 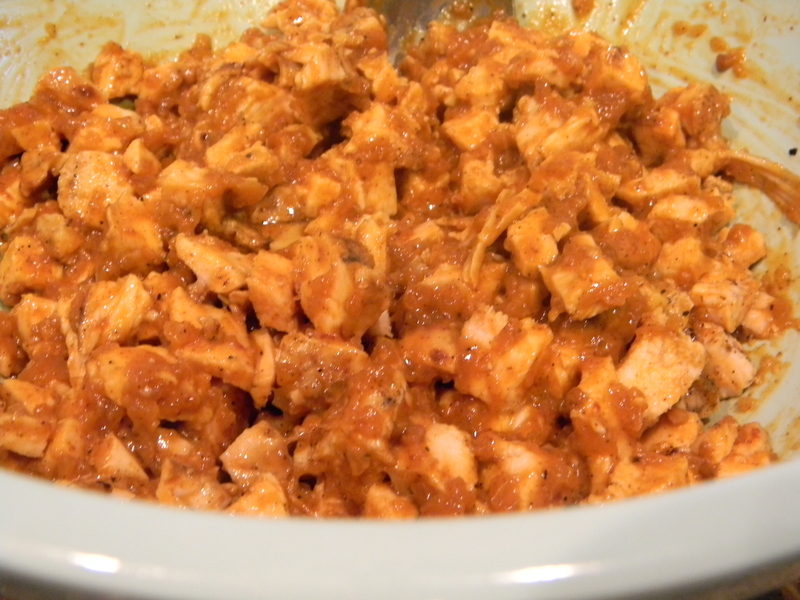 In a medium bowl, combine chicken and bbq sauce. 2.) 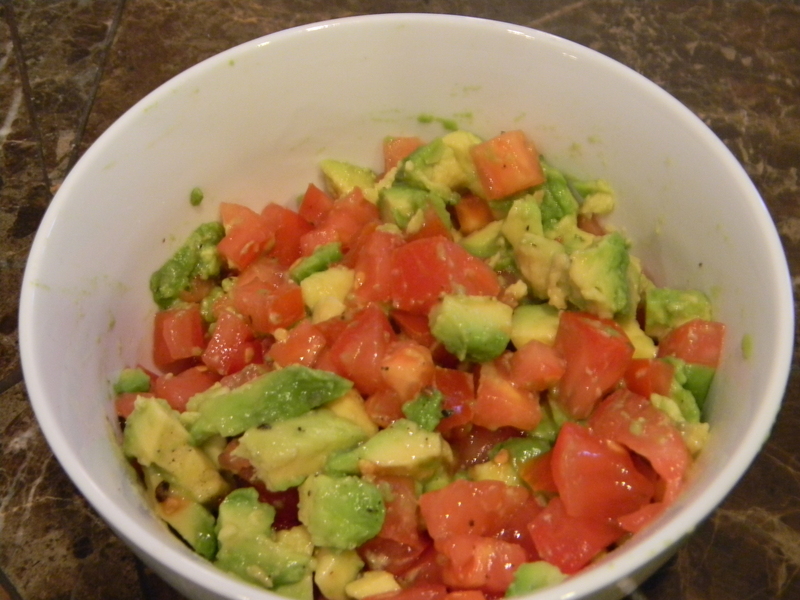 In a small bowl, toss together tomatoes, avocado, the juice of half of the lime, salt and pepper. Set aside. In another small bowl, combine sour cream, chipotle sauce, and the juice from the other half of the lime. and set aside. 2.) Heat a large skillet or saute pan over medium heat. Add one tortilla to the dry pan. 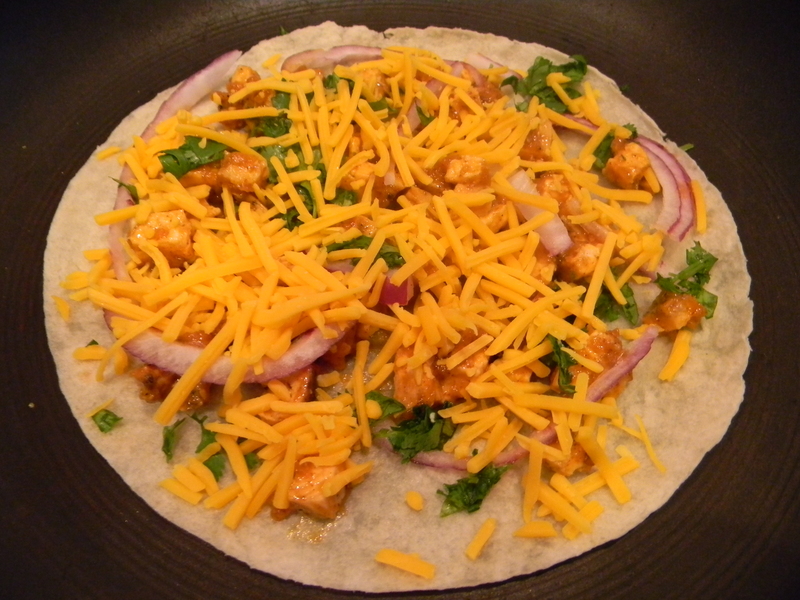 Top with 1/4 cup of the bbq chicken, red onions, cilantro, and 1/4 cup cheese. Top with another tortilla. Cook for 2 minutes, turn over carefully with a spatula and let the other side cook for another 1-2 minutes. 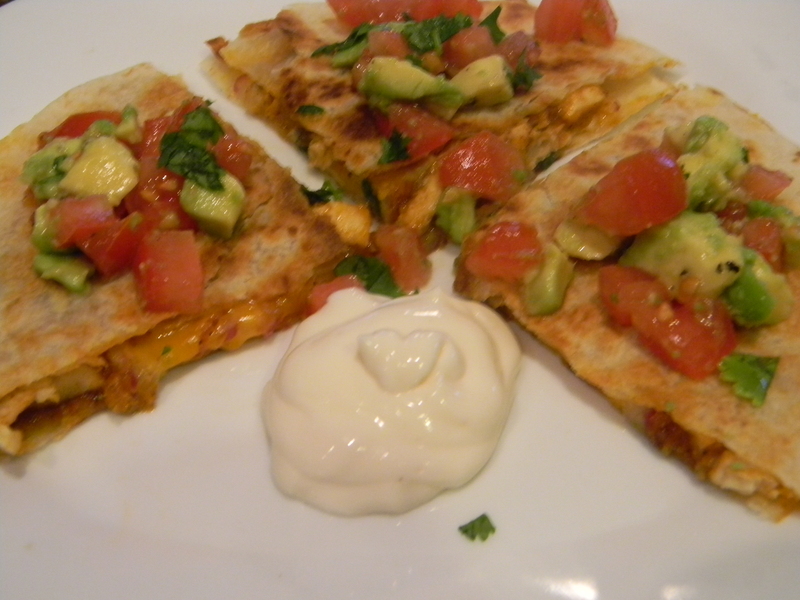 Repeat process with each quesadilla. 3.) Remove to a cutting board and cut into 4 pieces. Place the four pieces on a serving plate, top with the tomato-avocado relish, and a dollop of the chipotle-lime sour cream.